I recently did my 14th interview on The Amateur Traveler Podcast with Chris Christensen. I did my first interview on the show way back in 2008 from an Internet cafe in Yogyakarta, Indonesia. 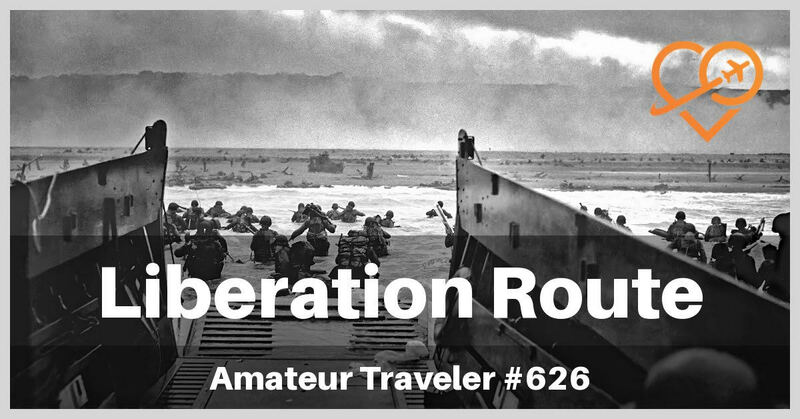 This time I talk about my recent trip this summer along The Liberation Route. The Liberation route is a collection of sites in Europe which commemorates the Allied invasion and liberation of Europe in 1944-45. It is a collection of museums, cemeteries, and battlefields scattered across England, France, Belgium, Germany, and the Netherlands. My trip took me from Portsmouth, England, one of the loading points for the D-Day invasion, to Normandy and then all the way to Berlin. I will have much more to say about on the website over the next few months.